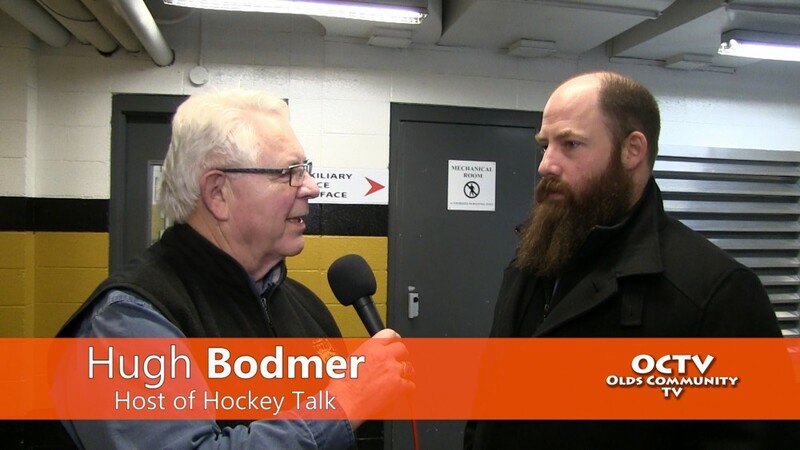 Hugh Bodmer talks with Grizzlys Assistant Coach Dana Lattery before the game on Saturday January 31st. 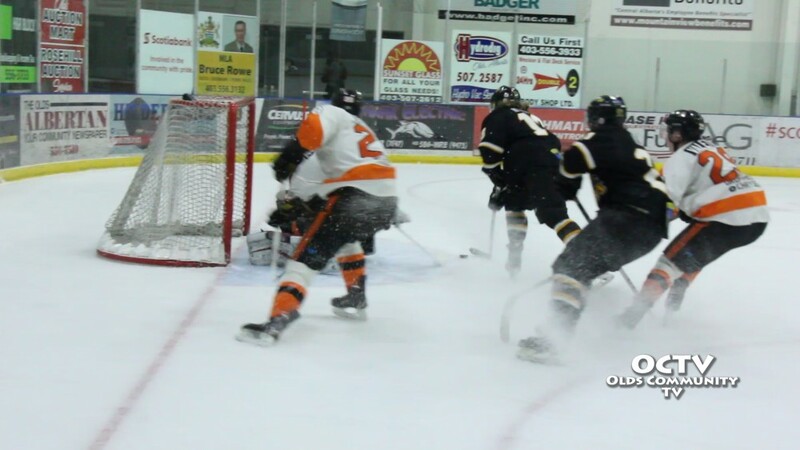 The Grizzlys played back to back games against the Drumheller Dragons Friday and Saturday night. 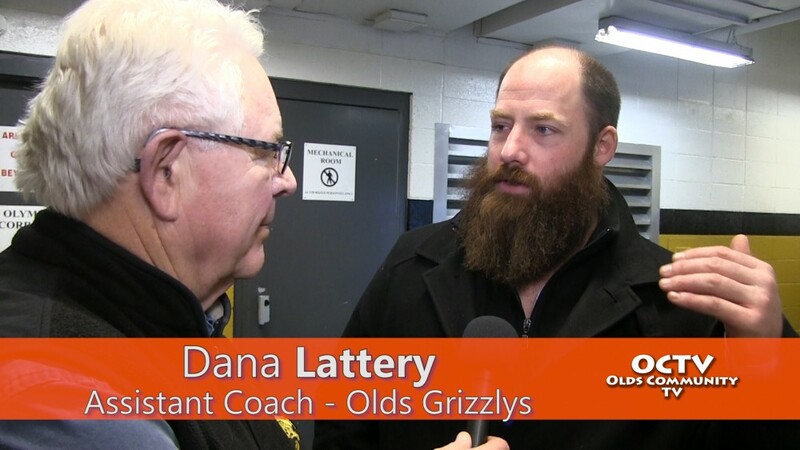 In the Olds Sportsplex Arena the Grizzlys took the win. The final score: Olds Grizzlys 5 – Drumheller Dragons 3.